My summer holidays have come to an end and maybe yours have too. Time to step back into our daily lives: working hard, taking care of our families, organizing our everyday household, trying to run the extra mile and, on top of all that, making and taking the time to take care of ourselves. This year, I turned 50. Yet notwithstanding my age, I generate more energy now than I possibly could when I was 20. Running a Recognition Business that helps out more than 120.000 employees on a yearly basis. Being responsible for sales, marketing and product-development. Taking care of my beloved family, including our crazy dog who needs to go out for at least 2 hours a day. Running 50-60 km/week at an average speed of 12km/h. Giving keynote speeches. Helping young entrepreneurs start up their businesses. Investing in broadening my network. And - last but not least! - managing to free up some precious time for myself to do the things that I love. So when these women ask me how I do what I do, what they are really asking me is this: "is it at all possible for me too to generate as much energy as you do and to live the life of my dreams?" My answer? YES, of course it is! And all it comes down to is mastering the art of self-motivation. Self-motivation is what pushes us to achieve our goals - to feel more fulfilled in order to improve our overall quality of life. And there are many advantages to self-motivation! People who are self-motivated, for example, tend to be more organised, have good time management skills and higher levels of self-esteem and confidence. That is why understanding and developing self-motivation can help us take control of many other aspects of our lives too. It is so important to realise that the most successful people aren't successful because they set out chasing money, power or fame. They are successful because they have something deep within them that motivates them to succeed. Let's take Steve Jobs as an example. There is no doubt that Steve Jobs changed the lives of millions of people. And the motivation behind some of his biggest accomplishments was death: knowing he would eventually die helped him accomplish outlandish goals, including the creation of some of his boldest inventions such as the iPhone and iPad. Or consider Tony Robbins. He is one of the best motivational speakers in the whole wide world. Tony says that he believes that 'hunger' is the single most significant gap standing between mediocrity and greatness. His hunger is what has enabled him to help so many people over the past 38+ years, and he doesn't stand alone: if you look at the world's most successful people, they are not just hungry for a while - they are hungry for a lifetime! I myself developed a same kind of hunger because - just like Tony - I didn't grow up in a privileged environment either. I wasn't born with a silver spoon in my mouth, and my mother had to fight for every single penny to raise my sister and me. In addition to that, I struggled a lot with my health and even more so with my self-esteem: I looked up to everyone except myself. Yet all of these things have at the same time motivated me to become the woman I am today - a happy entrepreneur, generating lots of daily energy so that I am able to help other people do the same with their lives. And the day that changed my life forever was the day upon which I came to understand that I - and I alone - was responsible for my life by owning my outcomes. It was a long journey, and it took me 25 years to discover that there were basically 5 things I needed to walk this path of success - 5 things that helped me to motivate myself and brought me to where I am today. And here, for the first time, I am very happy to share them with you! It is very important to have total clarity on where you want to go in life, and why you want to go there - to get a clear and specific overview of what you want your life to look like. So take the time it takes to reflect on what truly makes you happy, and what truly energises you, so that you can also start moving in that direction. Create a vision and connect it to pleasant consequences. Set high but realistic goals in different areas of your life - related to family, finances, your health, your job, … - and make them long-term as well as short-term. Both of these types of goals are necessary to book progress and motivate yourself. A long term goal, for example, can be deciding where you want to stand financially in five years from now. Setting a short term goal can be as simple as planning your next vacation. And along the way, remember that booking small wins has a tremendously positive impact on your self-confidence, which in turn is such a vital component of success. So make sure you continue working on yourself all the time and believe in your own capacities! In your job (as well as in life in general), always seek out things you love! It makes it so much easier to get out of bed in the morning, cope with stress and work long hours if you generally enjoy the work you do. I crafted my job in such a way as to leave out the things I wasn't good at, and replaced them by things I was good at: I focused on booking little moments of success rather than on avoiding failure. Remember that we all have the tendency to work and live better if we do what we love! One of the first books I read on my journey was "The Power of Positive Thinking" by Dr Norman Vincent Peale, and the book helped me a lot to develop a positive mindset. I learned how to control my self-talk and how to communicate with myself in a positive way. And I discovered this is vital! The way in which you communicate with yourself can make or break your good intentions to motivate yourself, which in turn can have a huge impact on how you evolve in life. The good news is that having a positive mindset is something you can learn. Just as you can learn how to run 10 km in one hour, you can learn how to think in a positive way and become mentally fit - how to keep a positive attitude and see problems and set-backs as learning opportunities. If you think in a positive way, you will attract positivity on your path and that will make it much easier for you to stay motivated even when the going gets tough. So invest in developing that positive mindset - it is so worth it! It is very important to surround yourself with people that lift you up and believe in you. People that support and encourage you on your journey. Look for people that have the courage to speak up and give you honest feedback so that you can grow and improve yourself all the time - honest and balanced people that know how to appreciate and recognize you for your efforts and that help you succeed. Try to avoid people with a negative mindset. It is much easier to be motivated if the people around you are! Keep on investing in yourself, so you can keep on growing. Never quit. Never give up. If things get tough, take a break… but never stop motivating yourself! You were put on this earth for a reason. People need you. And as Benjamin Franklin once said: "You can do anything you set your mind to"! On a final note, in all of these 5 things, make sure you keep track of what you want to achieve and stay motivated to do exactly that. Take a small notebook and, every evening, write down 3 accomplishments you are proud of. Doing this will help you keep your spirits up! Plus, take into account that your motivation may well change throughout life - sometimes from day to day, or even hour to hour. This is perfectly normal. The most important thing is to hang on to that vision of yours, because this will be your fuel to succeed in the end! Are you hungry for more? Then definitely read my latest book, "Durf, Leef & Onderneem". 7 ways to celebrate an employee's Seniority Day in 10 minutes (or less)! 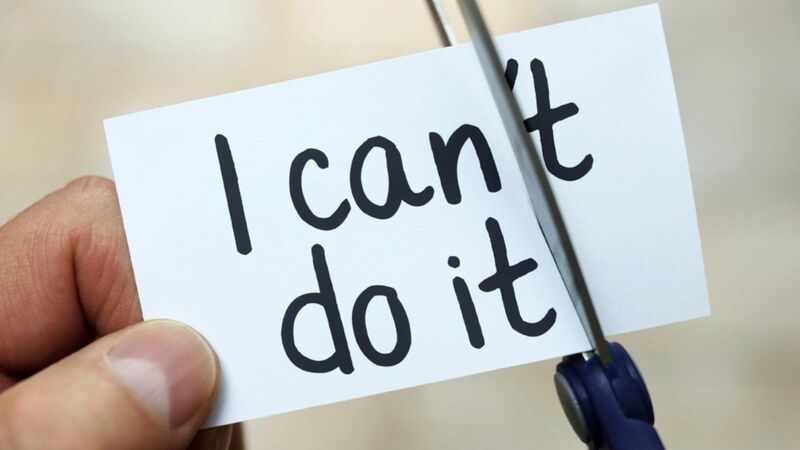 HR News: Self motivation is key!